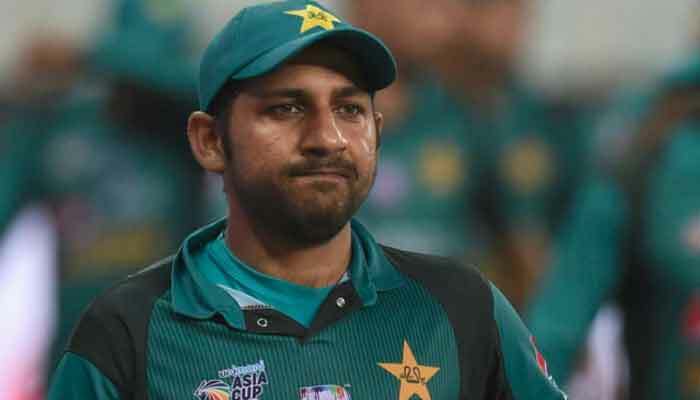 Sarfraz Ahmed has apologized to SouthAfrican all-rounder Andile Phehlukwayo after passing a racist remark to him in the 2nd ODI of Pakistan vs SouthAfrica series. According to Sarfraz’s official tweet, Phehlukwayo was gracious enough to accept the apology. Here is the tweet posted by the Pakistan Cricket captain. This is a welcome move by Skipper Sarfraz. And it was appreciated by everyone. The incident happened halfway through the 37th over of South Africa’s tense chase in the second ODI in Durban. Here is the video. Very, very poor from Sarfraz to say the least. So disappointing and hope there’s strong punishment. Sarfraz was clearly frustrated as you can hear him saying in the end: “Out hei nhe hu raha“ which translated into English means “he is not getting out”. Andile Phehlukwayo was lucky throughout his innings, being dropped once and surviving close calls. And what led to the frustrated Sarfraz saying such words. However, in his tweets, he mentioned that it wasn’t his intention to hurt anyone. The Internation Cricket Council (ICC) has taken up the matter as they have received a report from match referee Ranjan Madugalle. However, we’re still not sure whether any action will be taken against Sarfraz.